Where to Go in Brussels Belgium? Brussels is the bilingual capital that delights in contradiction. Its streets are signed in French and Dutch (to everyone’s confusion); its most iconic landmark is a tiny statue of a boy urinating (the Mannekin Pis), which symbolizes not just its people’s attitude to authority but their enduring deadpan humor; and it simultaneously boasts some of the grandest and ugliest architecture in Europe. This is the city that inspired one of the finest architects of the Art Nouveau movement, Victor Horta, as well as an endless series of "Brussels’s Ugliest Buildings" blogs. Dig a little deeper, though, and you’ll find not contradictions but context: a rich history that stretches back long before World War II devastated much of the capital, prompting rampant postwar redevelopment. Brussels has a reputation for being "boring"—a rather tired cliché that stems from its being the main home of the European Union—but it's a vibrant, multiethnic metropolis. One-third of its population are non-Belgians, and its hip Congolese Matonge quarter and North African Marolles flea market are now as much a fixture on the city’s tourist trail as its iconic Grand’Place. And then there's the nightlife. The beer-frazzled masses will find no complaint in Brussels's myriad city-center bars, while the cafés of the St-Gilles area have become a Mecca for local hipsters. It has soul, too. This is, after all, the birthplace of artists ranging from the Surrealist René Magritte to Tintin-creator Hergé, and in recent years a number of impressive art museums have opened, with more said to be on the way. 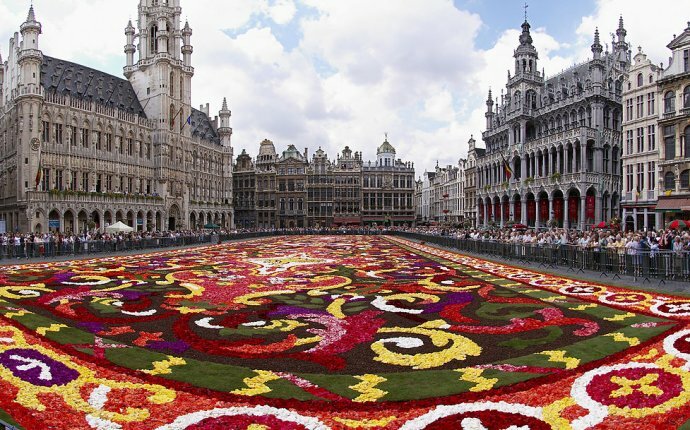 Brussels is unpredictable, but therein lies its appeal. The city’s mishmash of ideas and images can seem a little slapdash at first glance, but from it comes a sense of urgency. It's this mix of grand and quirky, old and new, rich and poor, together with some of the most beautiful buildings in Europe, that makes it perfect for just wandering. And in doing so, it’s hard not to fall in love.